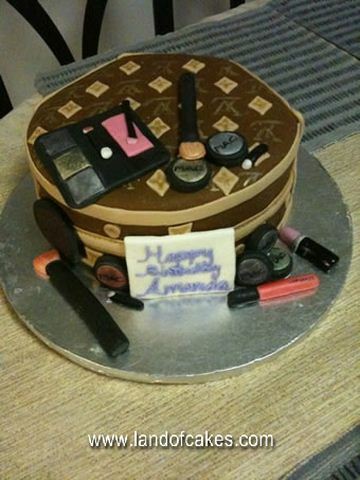 Custom Louis Vuitton cake birthday Cakes Long Island New York. This Louis Vuitton pocketbook cake is sure to impress your friends and/or family. We make various types of pocketbook cakes and makeup bag cakes customized to your liking. Choose the color and design of your custom bag and we will create your perfect cake. Note that all makeup accessories are lifelike and completely edible. Order your novelty handbag cake today!